Coated bolts are capped with the same polyurethane as our sheets. Installing your liner using these durable fasteners provides an uninterrupted, abrasion-resistant surface. No gluing or patching required, no surface preparation needed. Available in the same formulation as our liners with incredible holding power. A high-quality counterbore tool is essential for proper installation of our urethane-coated bolts. 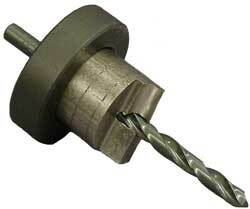 The counterbore tool is designed to work specifically with our coated bolts. Argonics produces many reliable and long-lasting wear solutions for the agriculture industry. Custom-designed parts to serve clients’ requirements are also available. Parts can be solid urethane or ceramic-embedded. Backing options include plain, fabric backed, expanded metal backed, solid metal backed, and weldable configurations. 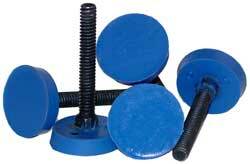 Options for installation include adhesive, welding and a variety of common fasteners, including our coated bolts.